On our recent trip out to California, one of the things on my bucket list was to visit the Pacific Ocean. This card is inspired by the beautiful western coast line. Good morning DRU fans! Birgit here with you today and I've got a card that's Just Beachy! 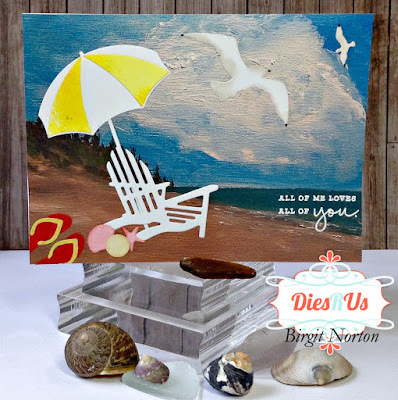 I started by finding a pretty beach scene online that I could print on my home printer and attached it to an A2 sized card front. I cut the Impression Obsession Beach Umbrella, IO Beach Chairs and IO Flip Flops and assembled each one as necessary. 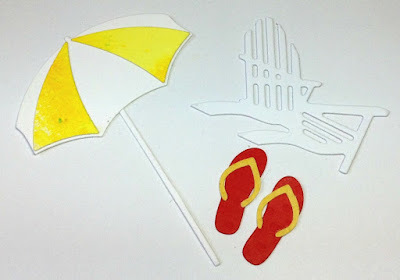 Next I cut these sweet Seaside Treasures from Memory Box out of white card stock and added color using Distress Inks. 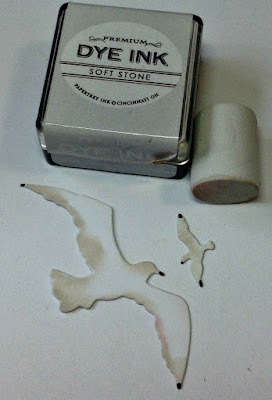 I cut these Impression Obsession Sea Birds out of white card stock and added color in the same way and then assembled my card. 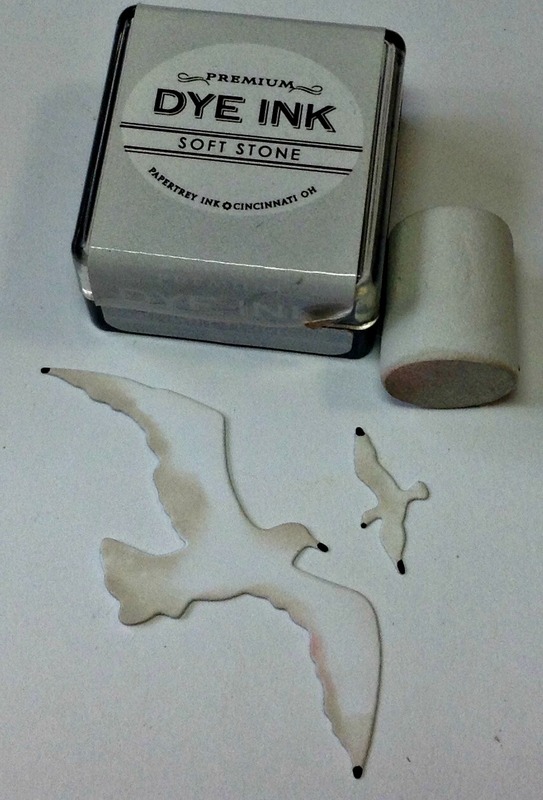 After the scene was completed, I heat embossed the sentiment in white. The owners of the Dies R Us store were recently away on vacation as well and while they were gone, they had amazing daily sales, so you may find that lots of the dies I used today are currently out of stock. Fear not! They replenish their dies on a regular basis and with the click of a button you can ask them to send you an e-mail when the dies are back in stock. Be sure to sign up for their newsletter while you're there because you don't want to miss out on their fabulous sales and their special order dies. 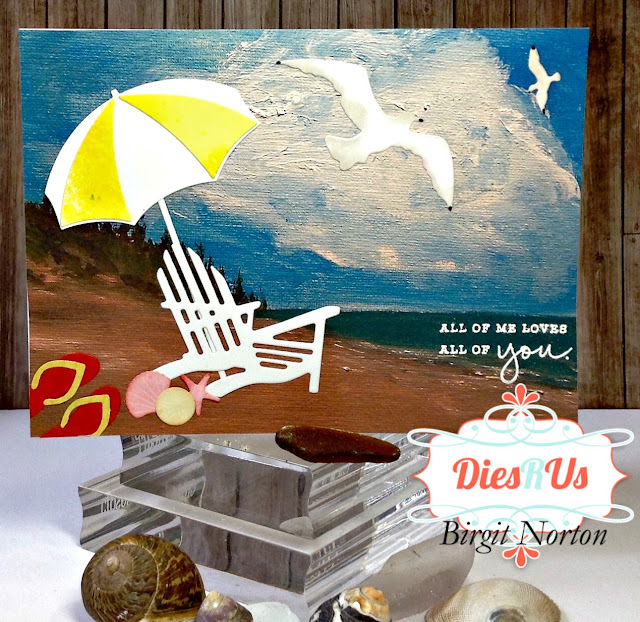 This is awesome Birgit and truly captures the ocean front! I saw your photos on FB ... looked like you had an amazing time ... that's fantastic! 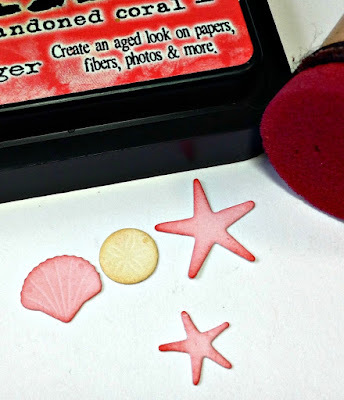 Thanks for awesome inspiration using these fun dies. Beautiful and fun! 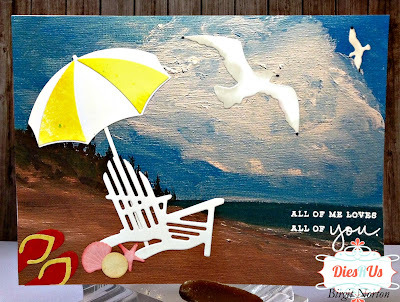 Love anything beachy! Such a beautiful card. Your background looks like a painting. Great way to use your dies to personalize and make it your own scene. Love it! breathtaking! what an awesome job! this card rocks!